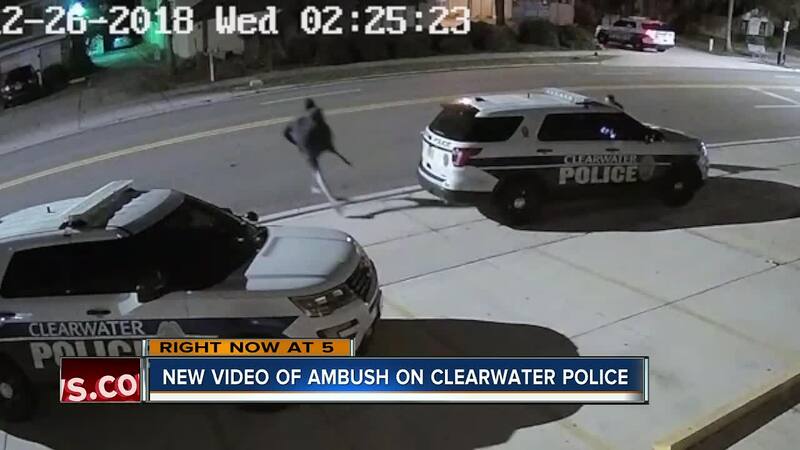 CLEARWATER, FLA - Several officers will return to work this weekend after the state attorney cleared them of any wrongdoing in an officer-involved shooting. The state attorney called it a ‘justifiable homicide’ in the shooting death of Wayne Falana. Officers said Falana ambushed them Dec. 26 when they responded to a domestic violence welfare check at the 1400 block of Gulf to Bay Boulevard. Authorities said earlier Falana abused his live in girlfriend by hitting her head, knocking her to the ground, and kicking her. She managed to contact friends through social media urging them to contact police officers. Clearwater police officers responded to the location. They were able to safely remove her from the building. According to Chief Daniel Slaughter, Falana lived in his recording studio. They said he had surveillance cameras, adding he was involved in drugs. The chief said his officers were lucky they were not injured that morning and he expressed gratitude they relied on their training, which helped protect the victim, themselves, and the community. While the state attorney’s office completed its investigation, the chief said their investigations continue.